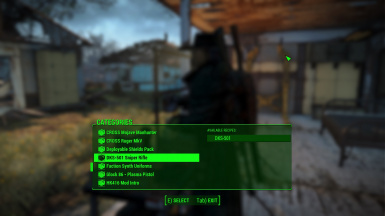 I hope this won't be too much of a stupid question, but what exactly is this mod (I see you have a lot of similar mods) for? My thoughts are that it allows VIS-G to use an icon for the DKS-501 and sort it correctly? 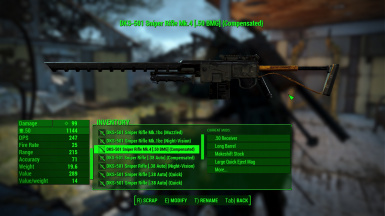 After installing your mod should the DKS-501 mod then be removed? Thanks for any info you'd care to share. This is a VIS-G ESP "REPLACER" for DKS-501 mod. Yes, if you install AWKCR+VIS-G item sorting+DKS-501=fancy icons for better organization. 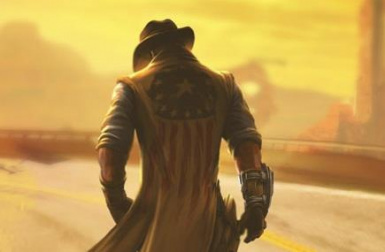 Otherwise without them you will see nothing but the weapon and related items. For installation, better make a backup ESP for your own sake (basic 101 in modding) and you do need the original texture and main files for the mod to function (repack to BA2 for better performance if you know how). 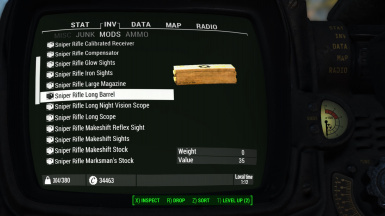 All you need to do exactly is to download the original mod(s) then use my ESP(s) to have the effect in the image. 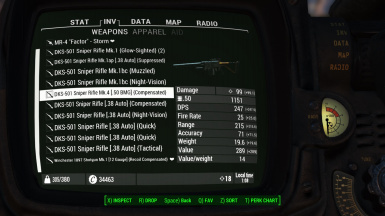 I say again, this is only a ESP replacer to save your plugin slot space so you can compatible with VIS-G item sorting for fancy icons (noted that some items weight have been changed to fit VIS-G gaming style, if you wanna weight back you can do it yourself by using FO4Edit). Just check the file size, you will not have the weapon if you only have a ESP file. Thanks., I appreciate the quick response and explanation.